Surviving by quality, developing by technology. Continuing to improve products and technology. working diligently, with wholeheartedly for our customers. 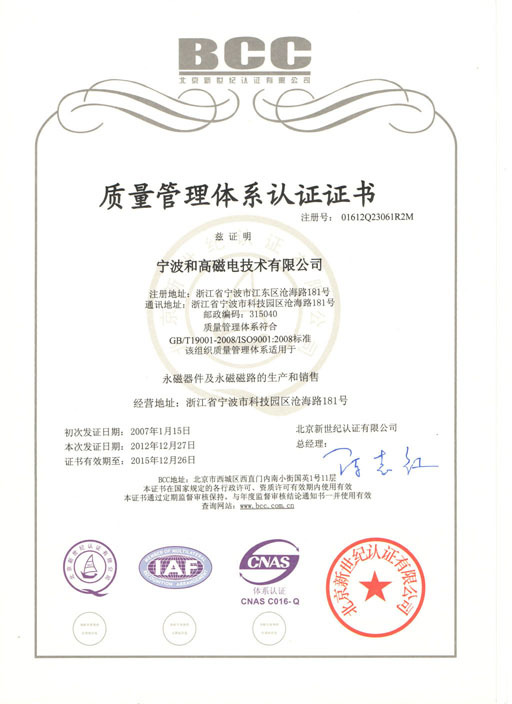 The self-score of our products should reach 95% even higher. 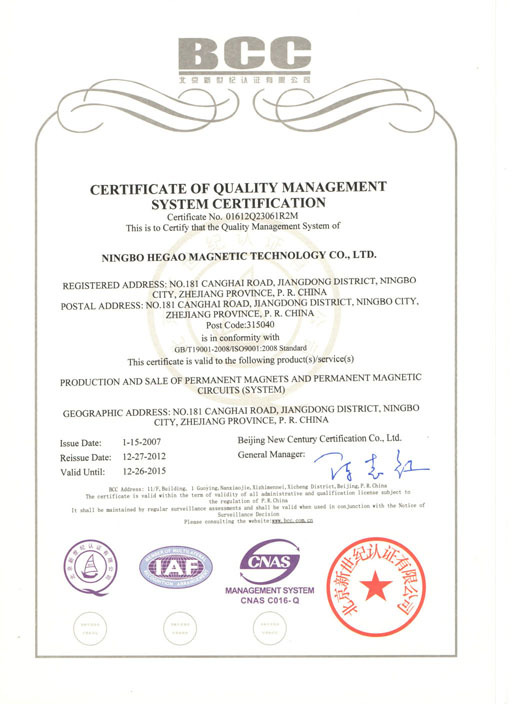 Our system has been developed and complies with ISO 9001:2000. Advanced Product Quality Planning (APQP) and Statistical Process Control (SPC) system are used to monitor and control product and process conditions at key stages of the manufacturing process. 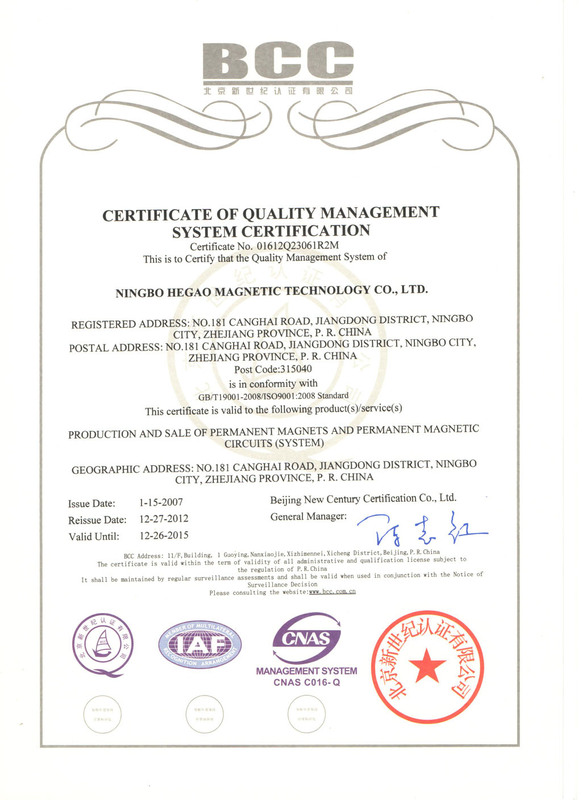 Besides Chinese GB standard,Hegao magnets issue different products standard for different markets.